Made in England. 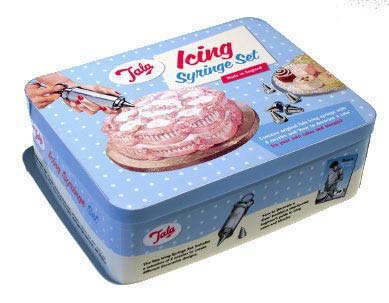 Tala Icing syringe set, contains original Tala icing syringe with 6 nozzles and 'How to decorate a cake' icing booklet. 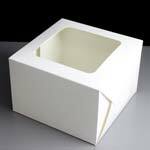 Ice your own cakes and biscuits. Selection of 6 original chrome plated brass icing nozzles to create different decorative designs. Nozzles included in set are No.2 Writer, No.5 Rope, No.8 Star, No.12 Shell, No.22 Border, No.36 Flower, all Tala embossed. 'How to decorate a Cake' booklet; a step by step guide to icing cakes and biscuits. All in attractive gift tin. This product is not dishwasher safe.